Artificial Intelligence (AI) and Machine Learning are the most exciting developments in business today. That is according to Bluegrass Digital managing director Nick Durrant, who adds that the threats posed to jobs are a serious concern. 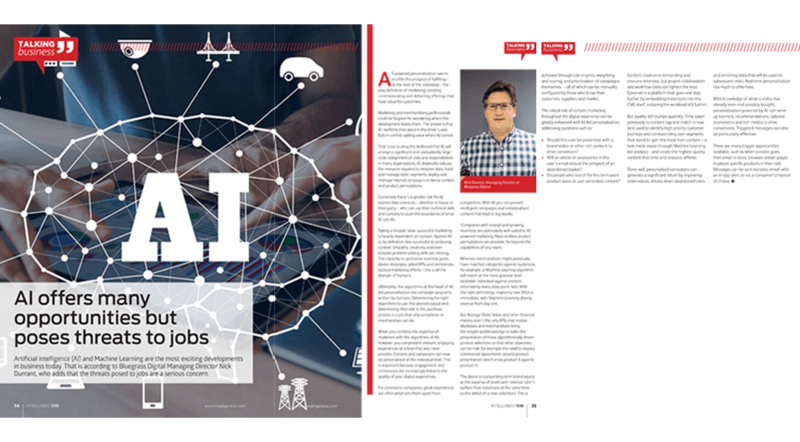 Read more at Intelligent CIO Africa Issue 21.